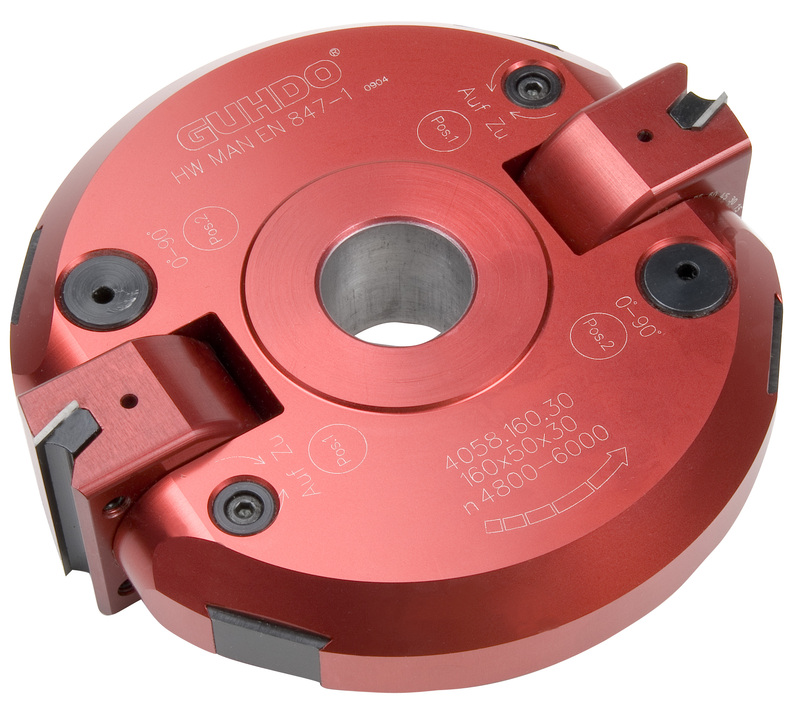 Now in stock: A surface planing cutter (Fourcut™) that provides an excellent quality, smooth surface finish! Specifically designed for applications such as MDF shaker doors and other surface planing requirements in solid wood or MDF, the Fourcut™ is a very economical solution for production needs where impeccable finish is a MUST! This cutter is engineered with carbide insert knives (PCD Diamond insert knives optional!) that feature special geometry to facilitate a fuzz free finish. 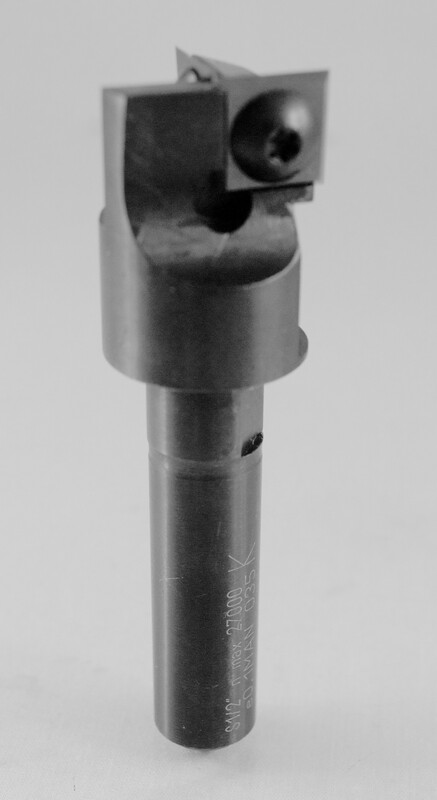 Inserts are 4 sided, providing 4 separate cycles for economical machining cost. Since old collets or poor quality tool holders can affect the performance of this tool, we highly recommend purchasing on an HSK heat shrink tool holder for exceptional results! 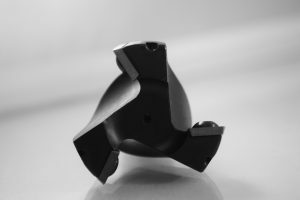 Two Options Available: A 40 mm 3 wing cutter is available from stock, with an 80mm diameter tool also available as a standard when larger surfaces require top quality finish. If using this for shaker door production, additional passes are required with separate router bits for achieving the square corner effect since a 20mm radius will remain needing corner cleanup. Both options are manufactured with high quality steel, precision balanced and Made in Germany! Regardless of your surfacing application the Fourcut™ will maximize your run-time without sacrificing finish. For applications that require longer run-times, the PCD option is a great alternative! 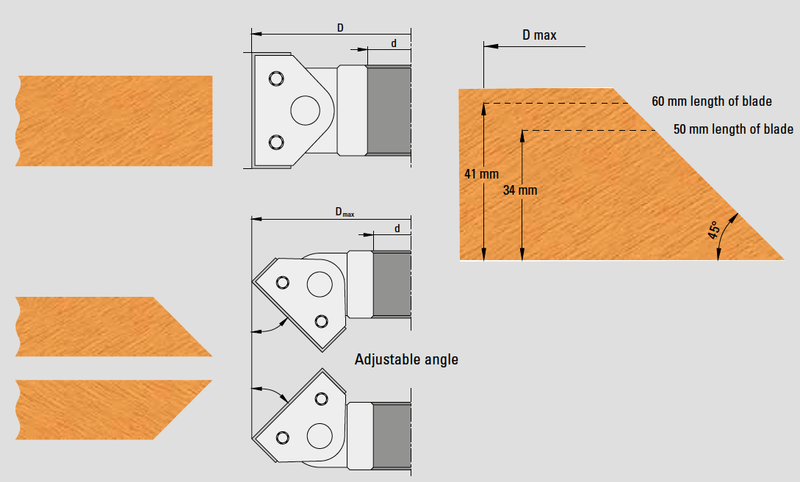 The 4058 Vari-Angle Insert Cutter Head is a versatile tool that’s invaluable for any custom woodworking facility, especially moulding and millwork shops. 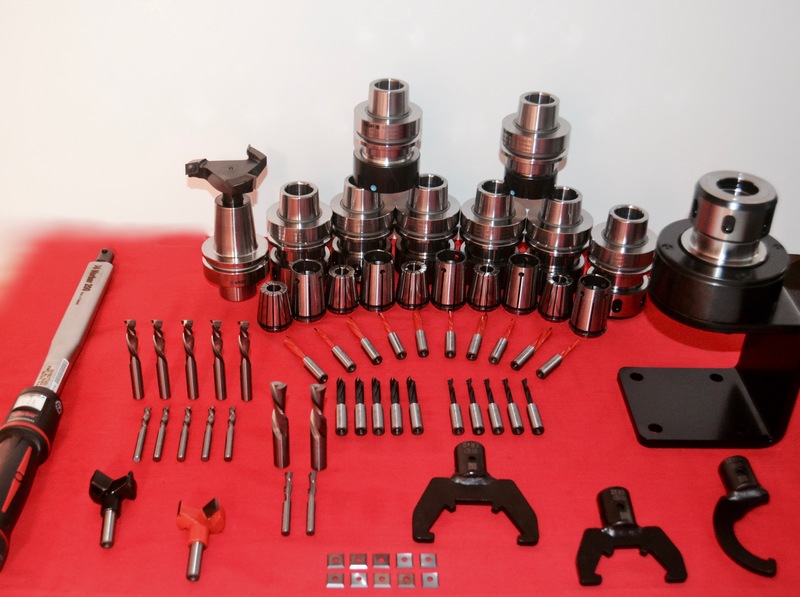 This tool is like no other insert cutter-head on the market and it’s used on a number of machines including shapers, tenoners and moulders. 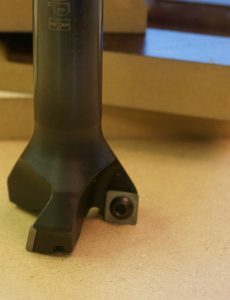 What makes this tool truly unique is its ability to joint at 90 degree producing a wide range of angles, hence the term, “Vari-Angle”. Manufactured from lightweight aluminum, this tool offers ease of handling and angle adjustment, and is something no wood shop should be without! Great solution for a range of different edge bevels and angled cuts. 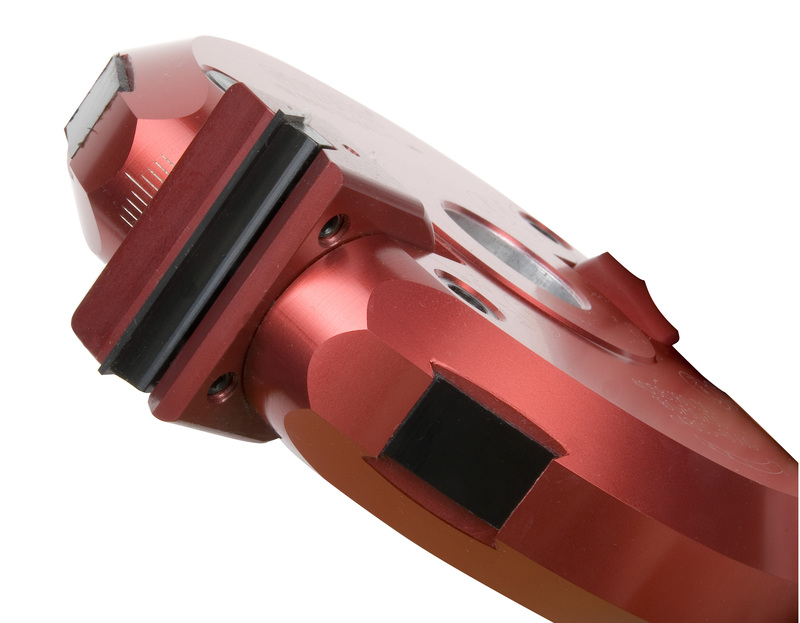 The Vari-Angle Cutter Head is produced with two tilting apparatus heads allowing the cutter head to be adjusted to produce varying angles (up or down) from 0 – 90 degree. This is achieved by the use of a simple wrench, turning an inner gearbox that allows the precise adjustment to the desired angle. 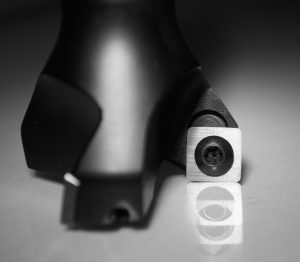 Once the angle is located, the wrench is then used to securely and accurately lock the tilting heads into place. The precise location of the angle is confirmed through a vernier scale located on the cutter head. In most cases, the simplicity and location of the adjustment gearbox allows the cutter head to be adjusted while still on the machine! 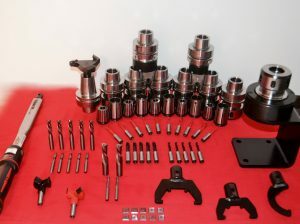 The tool is available in diameters ranging from 110mm and 170mm and depending on the model, has a cutting capacity of 40, 50, 60 and 80 mm. The adjustable vari-angle cutter uses standard reversible carbide insert knives making it an extremely economical tool to operate. Please contact us for more information.